Prior to founding HornbyChapman Ltd. with Victoria Hornby in 2006, Paul Chapman spent almost eighteen years in the asset servicing industry. 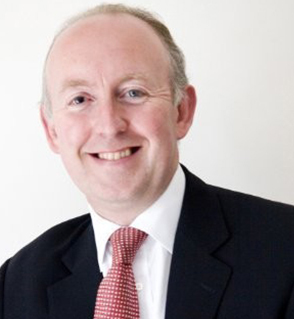 Following graduation from Bournemouth University with an Honours degree in Financial Services he spent eleven years with Brown Brothers Harriman in a variety of positions prior to becoming Senior Vice President, Head of Investor Services London and also Managing Director, BBH ISL (Trustees) Ltd. Following that he worked for the Pershing Division of CSFB as Director of Sales for Europe and then State Street Bank as Senior Vice President and Head of Strategic Relationships. He subsequently moved to Northern Trust as Senior Vice President in the Global Fund Services business. Along with Peter Shepherd, Paul runs the semi-annual Williams network management event and is a familiar face at asset servicing conferences around the world. He is married to former BBHer Karen and has daughters Emma, Molly and Maddy.